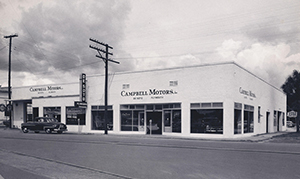 In 1923, the Campbell brothers left their native rural Alabama and moved to Sarasota, Florida. They worked on many different construction projects including the Ringling museum, the John Ringling Causeway in Sarasota, and other bridges across Tampa Bay. In 1926, Grady Campbell married Octavia Kendall and they moved back to Birmingham, Alabama to start a family. Grady began working with a friend in a garage where he learned to repair automobiles and trucks. Through study and hard work he became an expert in mechanical repairs. In 1929, they moved back to Sarasota and worked hard for several years saving their money. 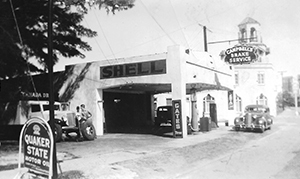 In 1931, Grady opened a service station and garage in downtown Sarasota. The business thrived on repairs of fleet trucks and did well even during the depression years prior to World War II. When the war started, Grady continued working on vehicles. The business was stable during the war years since repairs were constantly needed without new trucks and cars in the marketplace. In 1945, Grady (aka Grandpa) started a used car business and put his son Ralph (aka Dad) to work after school and during the summers. Ralph learned to pump gas and grease trucks. Ralph would ride his bicycle around town to Anderson Auto parts or other suppliers for his father. 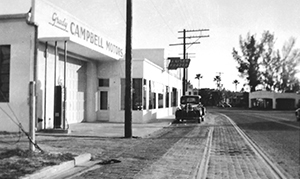 In 1948, Grady decided to build a new garage - that new facility became the Kaiser-Frazier auto dealer in Sarasota. When Chrysler began looking for a Desoto-Plymouth dealer in Sarasota, Grady seized the opportunity to become a Chrysler dealer. Grady’s wife Octavia (aka Grandma) began to manage the office as the business grew. Claude Stephens married their daughter Rita and began selling cars after he returned from the Air Force in 1949. Ralph returned after serving during the Korean War and graduating from technical school for auto mechanics. 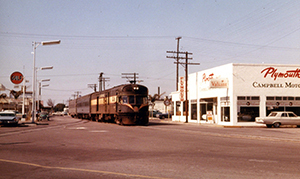 In 1966, Grady purchased the Chrysler-Plymouth dealership in Venice. In 1967, he was tragically killed in a tractor accident on his farm. Claude and Rita Stephens assumed management of the Venice store later becoming the exclusive owners. 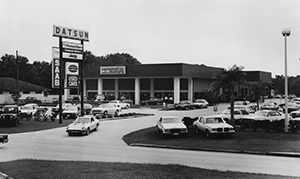 In 1968, Ralph purchased the Jeep franchise and, in 1969 became a Datsun(Nissan) dealer. Ralph and sister Thelma co-owned the Sarasota dealership. Spouses Grace(mom), and Jim(uncle) made it a family business success for many years. Through the gas crisis of the seventies the dealership thrived on the sale of Nissan cars and trucks. Ralph’s sons, Kevin and Colin, worked through their high school and college years in the family business. 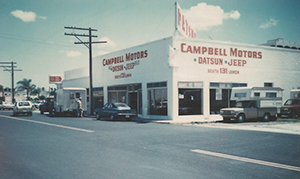 In 1980, the old downtown location was sold and the Nissan-Jeep dealership moved to a new location. The business grew and expanded several times over the next eleven years. The Nissan-Jeep dealership was sold in 1991 and the second generation retired from the automobile business. Kevin Campbell continued buying and selling car and trucks. In 1993 he saw opportunity in the recreational vehicle business and started selling motor homes and travel trailers. As the recreational vehicle business grew, the focus shifted away from cars and trucks. Younger brother Colin joined Campbell RV in 1995 and has been vital to our sales growth and success. 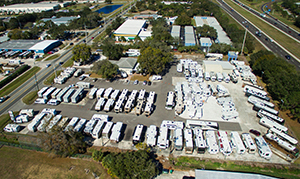 In 2000, we went back to our roots opening our new RV service facility to meet the needs of our rapidly growing customer base and the RV community. In 2005 we began selling new RV’s and in 2010 we became a Forest River dealer. We are proud to offer Flagstaff, Cherokee, Grey Wolf, Wolf Pack, towables. In 2015 we moved into our new offices and showroom at the same location. We are thankful to be part of a legacy built with integrity by our parents and grandparents. It is our goal to preserve and build on the legacy we are blessed with. 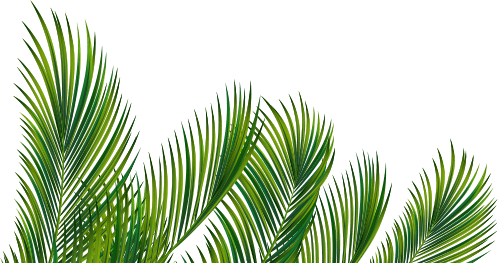 We appreciate the opportunity to share our Sarasota roots with you.